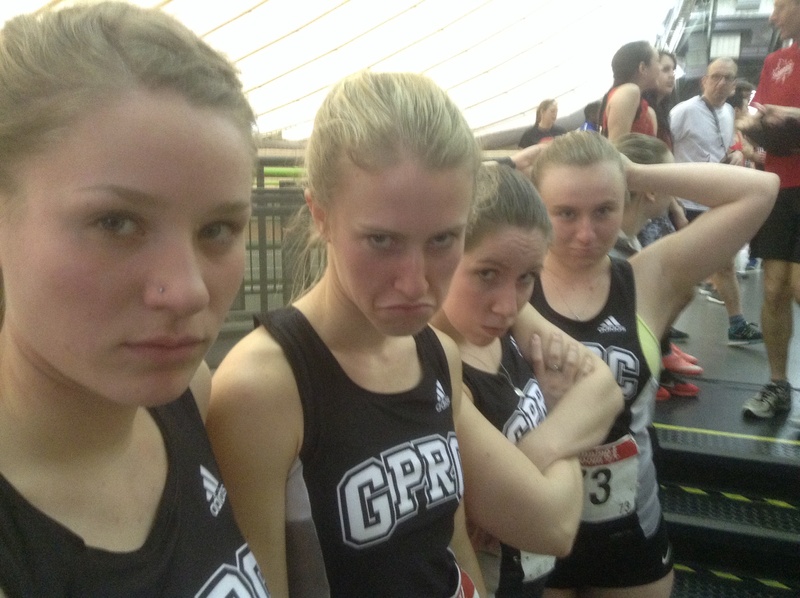 It took until the awards banquet after the meet had ended, but the GPRC Wolves managed to hit the podium on Saturday at the ACAC Indoor Track Championships in Calgary. In the always competitive No-Hands-Oreo-Eating-Contest, Josh Malmsten managed a 2nd place finish, while rookie Hannah Caldwell came out of nowhere to nab third place. Based on their combined performance, the Wolves earned the coveted right to eat first at the buffet. Earlier in the day, the Wolves men finished the meet with 12 points, good for fifth place overall. The Wolves women placed sixth with 8 points. Brandon Wladyko led the way for the locals with a 4th place finish in the 3000m, narrowly missing the bronze by 0.5 seconds. Wladyko recorded a personal best time of 9:33 in the race. He also ran a personal best time of 4:33 in placing 6th in the 1500m. Concordia University of Edmonton won the Men’s team title ; MacEwan University took the women’s crown. The ACAC meet marked the final competition in a Wolves singlet for graduating runners Kirsten Manz and Emily Whalen. Whalen marked the occasion with a win in Heat 4 of the 300m prelims. 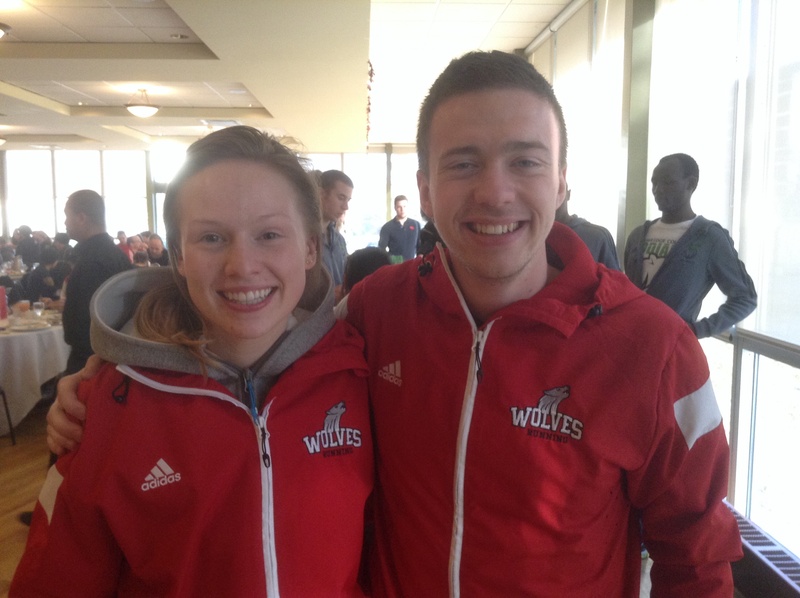 Elsewhere on Saturday, former Wolves runners Mirelle Martens (Trinity Western) and Joren Manz (University of Alberta) took part in the Canada West University Indoor Track Meet in Saskatoon. Martens won gold in the 3000m and picked up a silver in the 1500m. Manz also had a silver as part of the U of A’s 4 x 800m relay team. Both athletes qualified for CIS Nationals in two weeks. This entry was posted in Indoor Track and Field and tagged ACAC, ACAC indoor Track, GPRC Wolves X-C Running, Grande Prairie, Indoor Track and Field, Lethbridge College, MacEwan University, Track and Field, Trinity Western University. Bookmark the permalink.